Spherical ball bearings is actually a variant ofdeep groove ball bearing, characterized by its outer diameter surface of the sphere, can be blended with the corresponding concave spherical bearing self-aligning role to play within. 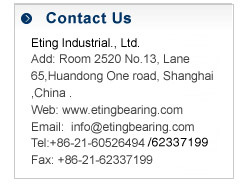 Although its basic performance and deep groove ball bearings should be similar, because most of the bearings used in the rough mechanical, the installation location is not precise enough, shaft and housing bore axis of the poor of neutral or long axis of the deflection and large the case, and the precision of the bearing itself is not high enough, some structure is relatively coarse, so the same as the actual performance of the performance specifications of the deep groove ball bearings play on a considerable discount. For example: with the top wire of the outer spherical ball bearings used through the large stiffness difference deflection shaft, the bearings on both sides with a ring, can be tight to prevent dirt intrusion, the factory had the right amount of lubricant filled, no cleaning prior to installation, no additional lubricant, bearing inner ring on the top of the wire protruding end of the shaft screw fastening. Permissible axial load should not exceed 20% of the rated dynamic load. With eccentric sleeve and the outer spherical ball bearing with spherical bearings top wire of the same performance, but not on the top wire on the inner ring, but in the eccentric sleeve. Tapered bore spherical ball bearing with 1:12 tapered bore of the tapered hole, can be installed directly on the tapered shaft, or through adapter bushing installed on the optical axis in the absence of shoulder, and fine-tune the bearing clearance. 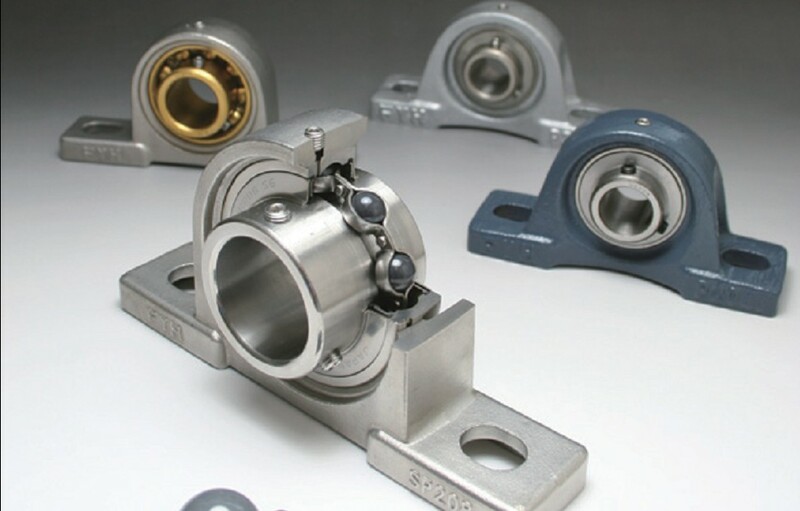 Spherical bearings priority for applications that require simple equipment and spare parts where, for example, agricultural machinery, transportation systems or construction machinery. Mainly used to bear radial load mainly radial and axial joint load, generally should not alone bear the axial load, such a bearing inner ring can be installed separately (with the whole group of roller and cage) and the outer ring. This kind of bearing does not allow a tilt axis relative to housing, the radial load in the appointment of an additional axial force can be generated. This kind of bearing axial clearance of the size of the bearing can work in it when the axial clearance is too small, the higher temperature; axial clearance is large, easy to damage the bearing. Therefore, the installation and operation to pay attention to adjust the bearing axial clearance, when necessary, preloaded installation, in order to increase the rigidity of the bearing.